Each photograph showed a smiling child, alone in the foreground of an after-school activity: ballet lesson, soccer practice, etc. The slogan said, “Tastes Like Somebody Loves You!” It was an ad campaign for individual pudding snacks. Well, it may taste like it, but that snack doesn’t mean anyone loves you, kid. In fact, nobody loves you even enough to dump pudding mix into milk, stir it up, and pour it into dishes to create a semi-homemade snack. You’re not worth the effort. They’d rather buy something they can just rip off a multi-pack and shove into your little hand as you hop out of the SUV. But at least it tastes like somebody loves you…who? The pudding corporation? This is what’s wrong in America today: Every experience has been turned into a commodity that can be purchased. Love, celebration, self-esteem, family togetherness, health, every state of being is intertwined with a slew of consumer products without which that state of being is portrayed as unattainable or even nonexistent. Out of zeal for “convenience”, we shrug off many of the day-to-day experiences that used to bring people together, in favor of impersonal, standardized, manufactured substitutes. There is no detail of our lives so intimate, so unique that no consumer product can fill the niche. We like this taste, the syrupy sweetness of enormous corporations begging to serve us, and we lap it up and forget what love really tastes like. Am I saying that we must never buy any manufactured goods, that the only path to happiness is the constant toil of producing everything our families need? Not at all. Division of labor–each person specializing in one kind of work–is a fine basis for a society. Using a universal symbol to arrange transactions (money) is a fine way to streamline exchanges of goods and services. As with most good things, though, moderation is crucial. Too much division of labor leaves you feeling that you are no good at anything but your specific role and resenting the sheer number of things you must shop for and pay for. Too much use of money, in place of more informal and trusting exchanges, leaves you feeling mistrustful and isolated. Purchased goods and services can be part of life, but a life that revolves around them feels empty–try as you might to fill that emptiness by buying more things. When it Tastes Like Somebody Loves You, your basic physical needs are met and you’ve had some pleasant sensory stimulation. But you’ve had this experience essentially alone, without taking any action directly connected to shaping the experience, except for purchasing it. You are a passive consumer of a product completely engineered by someone who has never met you. It’s designed not for you but for some hypothetical person, so it never fits quite right, and every way in which it does a little too much of this or not enough of that is a little discomfort. The corporations want you to react to this discomfort by constantly seeking better products, buying thing after thing, always hoping to find the things that will make you feel happy all the time. They cannot maintain their profits without maintaining a certain level of incompetence: You must never remain satisfied, because then you would stop buying stuff. None of us is immune to consumer culture, but we can resist letting it be our only culture. We can have some mass-marketed stuff in our lives while making some of our other stuff ourselves, doing without some of the other stuff, and living in relationships with people who do things for us and accept our doing things for them. Consumer culture masquerades as real human culture, trying to sell us things we don’t need as substitutes for genuine experiences whose real value can’t be fully duplicated. Over the past five decades, it has invaded nearly every aspect of our society and our lives. We can free ourselves, but only by choosing to think about what we do and what it means. Why is this series such a downer? Okay, okay, consumer culture is eating us alive; why do I keep harping on about it instead of explaining what to do differently? 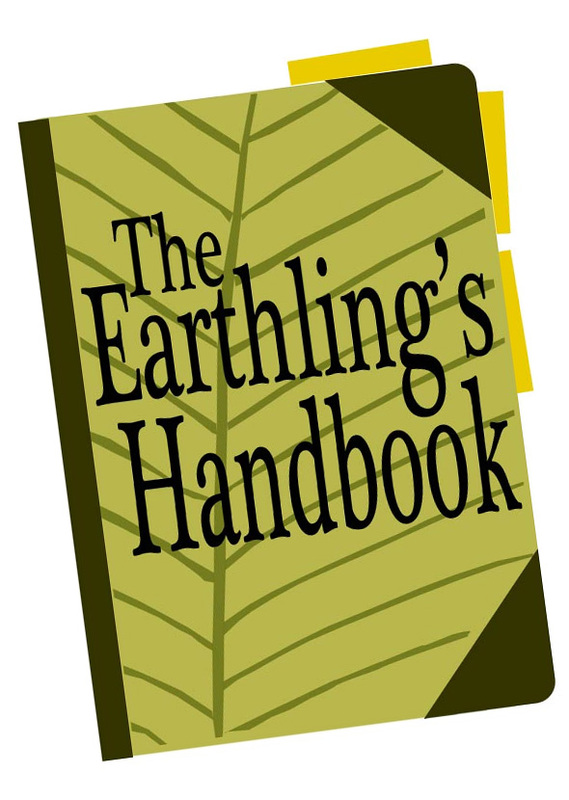 Well, much of the rest of The Earthling’s Handbook is about how to do things right and how easy and life-improving it is. This series is my attempt to explore what’s wrong with the current mainstream culture, to help myself (and, I hope, my readers) see through it. It’s also an attempt to channel negativity and snarkiness into this series so I can keep my other articles positive! Visit Your Green Resource for other writers’ ideas on escaping mindless consumption!